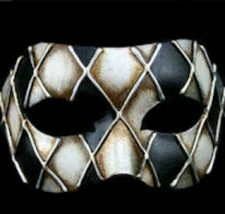 Carnevale, a Venetian-themed masquerade ball will be held at the San Juan County Fairgrounds on Saturday, March 2 at 8pm. Join us for a night of “dance, decadence, and debauchery.” This event is sponsored by On Sacred Ground Land Trust, 501c3, and Bastion Brewing of Anacortes. Dance the night away, enjoy scrumptious appetizers & revel in your Venetian themed disguise. Early bird pricing is available until February 15th. On Sacred Ground Land Trust is a land trust that promotes a permaculture approach to interacting with our cherished planet, and is the fiscal sponsor for Ihiya Biological Reserve. Ihiya was formed for the purpose of protecting an essential wetland so that it can exist unimpaired for wildlife and human appreciation, connection to nature, environmental education, and wild herbal medicine.